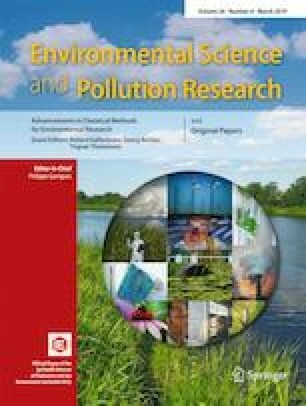 A total of 26 samples of surface sediments collected in the Neva River (including the St. Petersburg city area) and in the Russian part of the Gulf of Finland were analyzed for 17 polychlorinated dibenzo-p-dioxins, polychlorinated dibenzofurans (PCDD/Fs), 12 dioxin-like polychlorinated biphenyls (dl-PCBs), and 10 polybrominated diphenyl ethers (PBDEs). The concentrations of total PCDD/Fs and dl-PCBs in sediments ranged from < 0.05 to 219 pg g−1 d.w. and from 44 to 246,600 pg g−1 d.w. respectively. The total World Health Organization toxic equivalent (WHO-TEQPCDD/F + PCB) values varied between 0.01 and 59.0 pg g−1. In the majority of cases, the PCDD/F and dl-PCB concentrations do not exceed the threshold effect level (TEL) recommended by Helsinki Commission (HELCOM) as quantitative target for the sum of PCDD/Fs and dl-PCBs. The congener profile indicates that combustion is the primary source of PCDD/Fs in most of the studied samples. For the PCBs, the historical use of technical PCB products was identified as the major source. ΣPBDE10 concentrations ranged from 0.004 to 1.8 ng g−1 d.w. The congener profile results show that BDE-47 (tetra-BDE) is the dominant congener in sediment samples. According to the sediment and water quality guidelines established in the EU (PNEC) and in Canada (FEQG), all the samples studied can be classified as lowly contaminated by PBDEs. The sediment concentrations of PCDD/Fs, dl-PCBs, and PBDEs measured in this study were comparable to or lower than those reported for other areas of the Baltic Sea. Part of the data was obtained within the scope of the BALTHAZAR HELCOM project “Identification of sources of hazardous substances in Saint Petersburg area” (HELCOM 2012).